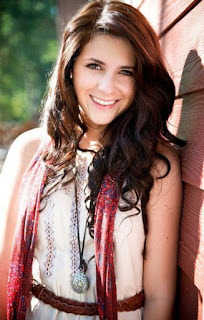 Texas Online Radio: Today's Texas Quick Pick - Lauren Alexander - Bullard, Tx. Today's Texas Quick Pick - Lauren Alexander - Bullard, Tx. Another "two-fer" today on the Texas Quick Pick front... Meet Lauren Alexander from Bullard, Texas. Singing publicly since age 6, Lauren has spent more than half of her life on stage. A promising guitarist and songwriter, she has performed at nearly 200 venues for 2004 and 2005. Ms. Alexander has been featured on ABC, CBS and NBC - TV. Lauren says, “There are so many artists these days that make a record and hope it gets heard. I believe that you have to take your music to the people.” She has done just that by performing at hundreds of venues. Lauren has had a full time band since the age of 11, and has opened for Pat Green, along with a long list of prominent Texas musicians, including Dan Seals, Asleep at the Wheel, Tommy Alverson, Morrison-Williams, Ed Burleson and Deryl Dodd, just to name a few. As a result, this driven young lady performs with the presence and poise of someone well beyond her years. Her latest single has just been released to radio, and is currently out on CD-Tex. She will be heading out on her radio tour in the next few months. Lauren is a new and brightly shining star from the Lone Star State. Catch her rise on the Texas music charts!